About the MSL Team: Presented by Math as a Second Language Inc. In 1958, while still a graduate student and teaching Assistant in the MIT mathematics department, Herb Gross was recruited to be the founding math department chairperson at Corning Community College (CCC). He remained at CCC for ten years during which time he became well known throughout the area as a speaker and educator. In 1959, he became Corning’s first education television instructor, offering a calculus course to gifted high school students in the Corning-Painted Post school district; and in 1967 he was the driving force behind the formation of the New York State Mathematics Association of Two Year Colleges (NYSMAYTC). In 1968, the MIT Center for Advanced Engineering Study (CAES) recruited him to teach "Calculus Revisited" to engineers and scientists who were returning to MIT for post-graduate study. The course was so popular that he was asked to develop a video version of the course. In 2010 MIT digitized the course and uploaded it on its OpenCourseWare website, where it has been viewed over 600,000 times. In 1973, he returned to teaching, leaving MIT to become the founding math department chair at Bunker Hill Community College (BHCC) in Boston MA. He continued being a strong advocate of the community colleges and in 1974 he founded and became the first president of the American Mathematics Association of Two year Colleges (AMATYC). In 1978 the Volunteers of America in Hagerstown Maryland named him the nation’s outstanding educator. In 1986 the American Association of Community College Trustees named him the nation’s outstanding community college instructor. He remained at BHCC until his retirement in 2003. Since then, he has devoted his professional life to helping elementary and middle school teachers achieve more success in having their students better internalize basic mathematics. To that end he has formed Math As A Second Language, (MSL) Inc. a 501 (c) 3 organization. MSL is constructing a new website, but currently all of his material is available free of charge on www.mathasasecondlanguage.com. In May 2014, the State University of New York awarded him an honorary doctor of humane letters degree for his many contributions to math education at all levels. Judith holds a Ph.D. in Operations Research (a branch of applied math) from Yale University and Masters Degrees in Theoretical Math (Courant Institute) and Computer Science. As a woman, she is especially interested in helping girls and women seek careers in STEM areas. Her knowledge of math has played a large role in her own work in diverse ways. For example, she was instrumental in developing health care finance programs and hospital-stay payment models for Norway, England, and Australia. She was also Vice President of Risk Management for BeyondBond, Inc. (a former financial firm) and wrote real-time option pricing software for traders at Morgan Stanley. Her favorite work has been teaching: at university (e.g., Yale), community college (e.g., Bronx Community), High School (Joel Barlow / Redding CT) and currently as a tutor for students from elementary school through university. In her tenure at Norwalk State Community College, she was named teacher of the year twice. Currently she is devoting her time to bringing “Math As A Second Language” to a prominent position in the math education field in her roles as executive director, workshop organizer and instructor, and as website developer for MSL. During his 35 years in the classroom at the Charles S. Ashley School in New Bedford, Massachusetts, he taught math to students in the sixth and fifth grades. Math has always been a challenging area for teachers and students alike. With the emphasis on technology in today’s world, the need for science and math instruction continues to place a high demand on the teachers to educate their students in these areas. Rick began using computer technology (PowerPoint presentations) to motivate students to better understand arithmetic concepts in a non-threatening manner. “Taking the Fear out of Math” and making it a more comfortable learning experience proved to be highly successful in his classroom. Since teaching workshops with Herb Gross and Judith Bender, he continues to develop materials (PowerPoint Presentations, Handouts, Task Cards, and Manipulatives ) that are aligned with the Common Core Standards) and focus on the arithmetic concepts of Math As A Second Language. The hardest arithmetic to master is that which enables us to count our blessings! Making mathematics more “user friendly” to us as teachers is the first step toward making it fun and exciting for our students. 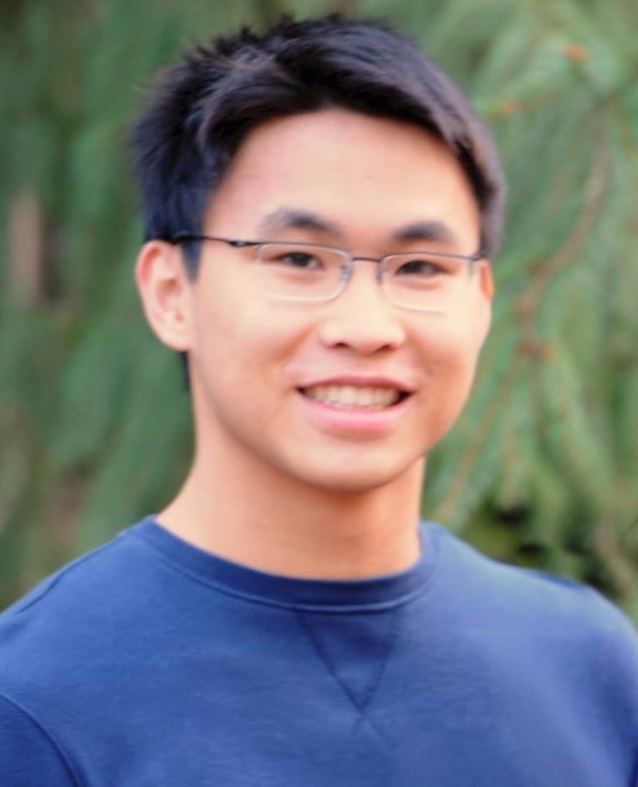 Cameron is a 4th-year undergraduate majoring in Electrical Engineering and Computer Science at Yale University, with a particular interest in data visualization. He enjoys exploring how the ideas of Edward Tufte and Bret Victor can be applied to build tools that help people learn and make decisions more effectively. He also is a contributing editor to the Swimming Science Blog, and a data engineer for the Data-Driven Environmental Solutions Group at Yale. He is a fan of sparklines, small multiples, and Python! He has been working to organize and scale MSL's web-based resources as a developer since May 2014.